In this comparison guide, we'll put the 2018 Ford F-150 next to the Chevrolet Colorado of the same model year. One thing becomes immediately apparent. 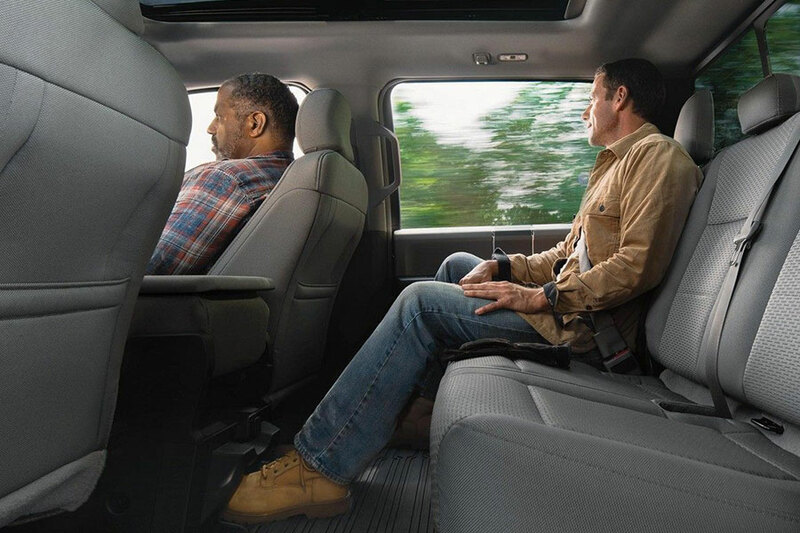 The Ford F-150 is taller, wider, and, in some cabin configurations, much longer. Truth be told he Ford F-150 and Chevy Colorado are in two different classes. The Ford is a full-size pickup, but the Chevy is a compact pickup. There are usually reasons to buy small over large, but perhaps not in this comparison. You be the judge. We're giving this category to the F-150, not because the Ford gets better gas mileage, but because the F-150 pickup gets the same gas mileage as the Chevy Colorado even though the F-150 weighs hundreds of pounds more. It's one of those how-did-they-do-that questions. The 2018 Ford F-150 gets as good as 20 city miles and 25 highway miles per gallon. Meanwhile, the 2018 Chevy Colorado gets an almost identical 20 city and 26 highway miles. It shouldn't happen to trucks in two different classes but there's no denying. The Ford F-150 is much bigger, but gets the same fuel economy as the smaller Colorado. The Ford reputation probably precedes us here. But in case there was any doubt. The Ford F-150 leads its class in both payload and towing capacity, hauling up to 3,270 pounds and tows up to 13,200 pounds, when properly configured. On the other hand, the Chevy Colorado hauls up to 1,574 pounds and tows up to 7,700 pounds. That's about half the numbers the Ford puts up. For its class, the Colorado does very well. But pair the Chevy with the Ford, and it's not really a contest. The other distinct advantage of buying bigger is the additional cargo room. There's not much difference in front-seat head- and legroom, but behind the front seat is another matter. The 2018 Ford F-150 comes in three different cab configurations: regular, SuperCab, and SuperCrew. The regular cab only has seating for three, with no back seat. The SuperCab and SuperCrew both seat six on two rows. What's the difference then? The SuperCab has rear doors that are smaller and open backward, while the SuperCrew is far easier to get into with standard doors that open the same way the front-row doors do. There's also three bed lengths for the Ford F-150: 5.5-foot, 6.5-foot, and 8-foot. 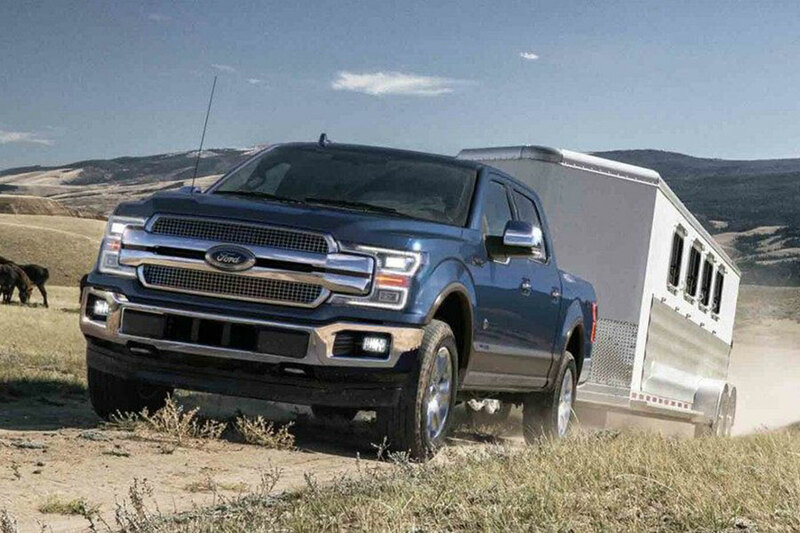 With all these configurations, you're bound to find a Ford pickup that fits your life. The 2018 Chevy Colorado seats fewer: 3, 4, or 5 passengers, depending on configuration. The Colorado also has fewer bed sizes, either a 6-foot-2-inch (Long Box) or a 5-foot-2-inch (Short Box). It's possible to get a bigger Colorado than an F-150. But it's impossible to get a Colorado bigger than the biggest F-150. The Ford pickup also has plenty of options to choose from and that customizability is another plus in its favor.